After working in the nonprofit arena for 12 years as a clinical staff consultant for Adult Mental Health programs, Adolescent Social Service and Juvenile Justice programs; I began working in the disability insurance industry in 2000. From 2000 - 2008 I worked for one of the country's leading disability insurance companies. From 2008 to the present, I have had the pleasure of working first as a Vocational Rehabilitation Consultant, and more recently, as a Sr. Vocational Rehabilitation Consultant with UnitedHealthcare. For three semesters (2011 - 2012), I enjoyed working as an adjunct professor for Salve Regina University, teaching a Masters Level Counseling Theories Course. 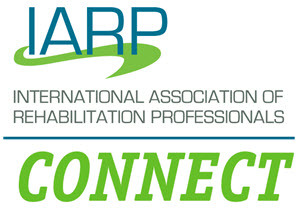 In addition to my work, I have been an active member of IARP in my local chapter from 2001 - 2013. Then, in June 2013, I received the honor of being appointed to the role of Council of Presidents' Representative to the International Board of Directors of IARP, and in April 2014, I was elected to this role and am now currently serving a two year term.